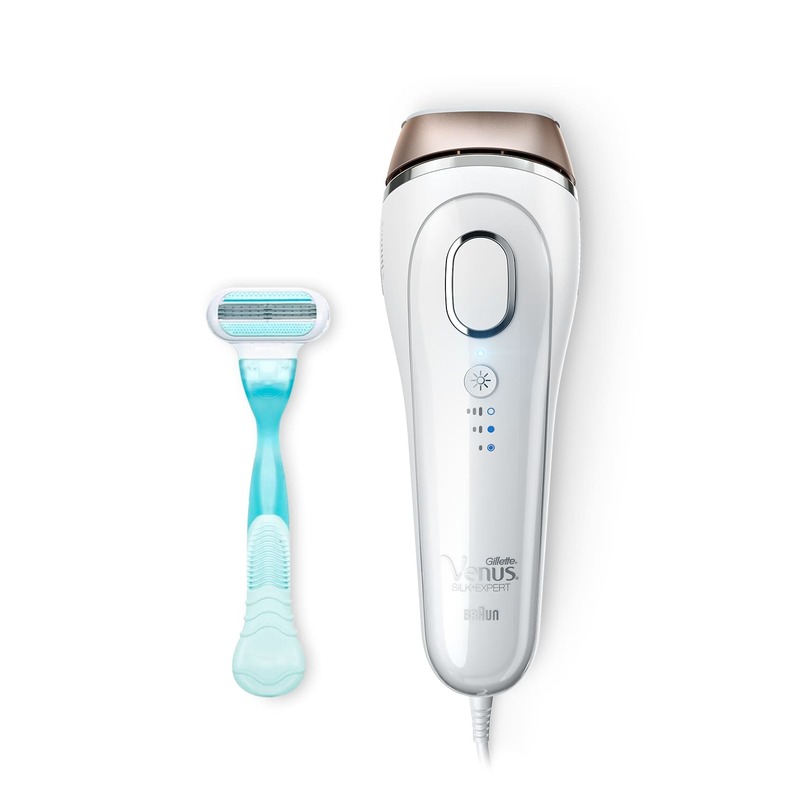 Venus Silk-expert 5 IPL BD 5001 with Gillette Venus razor. Venus Silk-expert 5 IPL, powered by Braun. Permanent hair reduction with the only IPL technology that adapts to your skin. The 120.000 flashes deliver an equivalent of 6 years of full body treatments. VenusSilk-expert 5 IPL, powered by Braun, provides fast treatments suitable for large body parts such as legs or arms, which can be treated in 8 minutes, without compromising on effectiveness. Customize your treatment: Normal or gentle mode. The normal mode gives you the full power and adaptation to your skin tone at any time. In the gentle mode, the Venus Silk-expert adapts to different skin tones as fast and accurately as in normal mode – just on a lower energy level.